Chic materials meet cozy style. 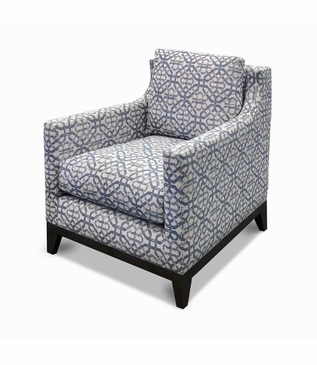 Shown upholstered in an inviting graphic print fabric, the Kresley Chair can be as showy or subdued as you desire and features a slimmer, more space-conscious profile than most club chairs. It also boasts gracefully curved arms, a pitched back, and loose cushions to create unsurpassed comfort. Finally, it is elevated by a stunning Java Light-stained wood base. As with all pieces from our Custom Furniture Collection, this chair is made-to-order in Los Angeles and can be infinitely customized. 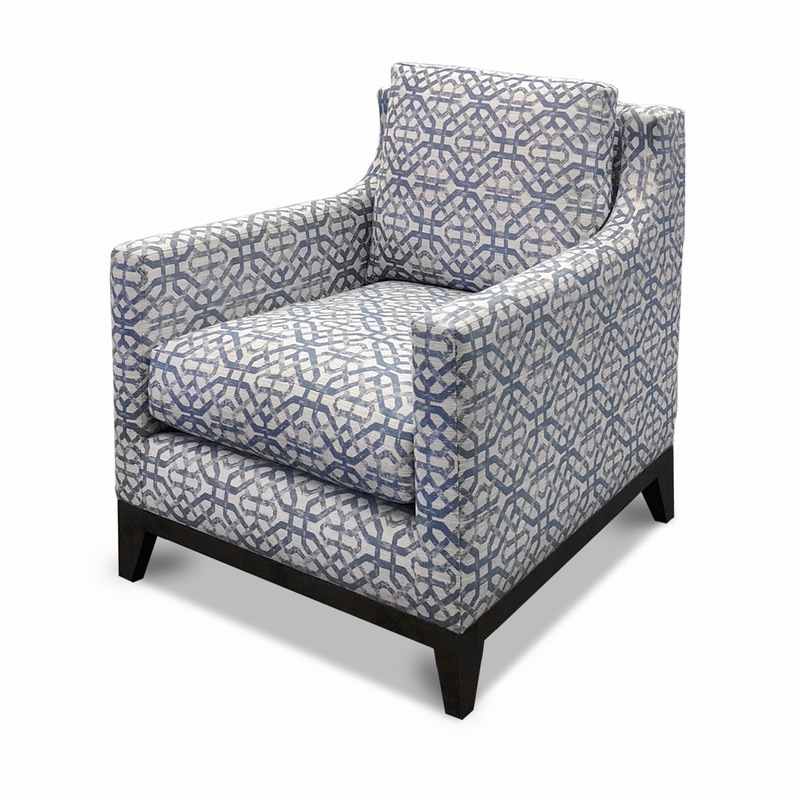 Choose your fabric/leather, dimensions, cushion firmness, wood, and finishes. Also available in customer’s own material (COM). For pricing, please call, e-mail, or submit an online quote request. Dimensions: W: 29" • D: 33" • H: 34"